I cannot convey how thrilled I am that I found Cards and Pockets. no problem. Their amazing prices and variety of accents...you have a serious winner. I would completely recommend them to anyone! 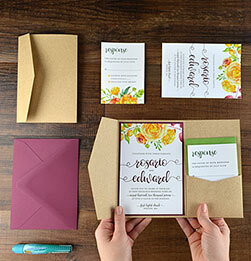 Happy to highly recommend Cards & Pockets! The whole process was simple, enjoyable and highly professional as well as very good value. 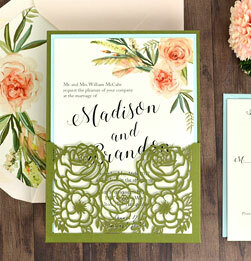 We have been so happy with our invites, that we are going to order more in a few more. Keep up the good work guys! Not only were the products fantastic and beyond expectations, the customer service was excellent. Any revisions or changes I needed were quickly handled. Everything arrived much faster than anticipated too which was just a cherry on top of it all. 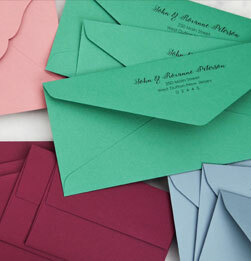 We know Pocket Invitations better than anyone. We have all the supplies you will need, and a knowledgeable staff that has worked with thousands of brides. 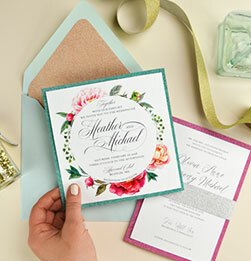 We are ever refining our products and website information to help you make your dream invitation.